Portia de Rossi recently announced that she has retired from acting. However she is making an appearance in season 5 of Netflix's 'Arrested Development' and she attended the premiere on Thursday(May 5th) at the Netflix FYSee Theater in LA. 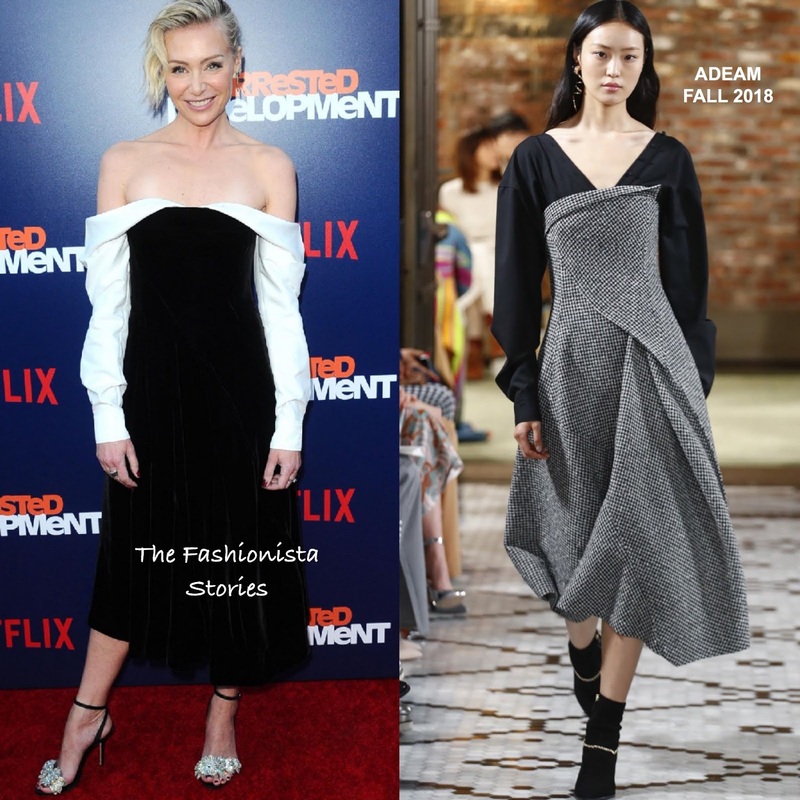 She hit the red carpet wearing a ADEAM FALL 2018 faux layered dress which featured a white long sleeve v-neck top and a black bustier, draped asymmetrical dress. If this looks familiar, that's because Rachel Brosnahan wore the runway version in February 2018. Wearing her dress opposite the runway, Portia wore the sleeves off-the-shoulder which is on trend. She finished up with a short, layered wavy cut and embellished ankle strap sandals.